KOLKATA: It’s not just iPhones – Maccomputers and iPads have started to deliver results for Apple in India, growing at a faster pace than the global average after the company expanded distribution and pushed sales in the country. 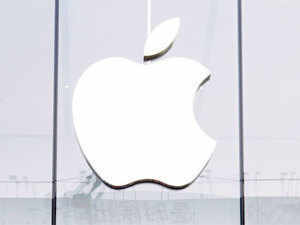 Apple has now hired senior executives to lead policy and HR in India, two senior industry executives said. Apple, which declared its October–December quarter results on Friday, reported an all-time record quarterly revenue of $88.3 billion globally, with sales outside the US accounting for 65% of sales. While iPhones have always been the main growth driver for Apple in India, the company said Mac and iPad sales grew at a record pace. While Mac sales increased 2% globally during October-December, growth was stronger in emerging markets including India, Apple chief financial officer Luca Maestri said on an earnings call. “Mac performance was particularly strong in emerging markets with unit sales up 13% year-over-year and with all-time record in Latin America, in India, Turkey and Central and Eastern Europe,” Maestri said. Similarly, iPad sales growth was in strong double-digits in many emerging markets, including Latin America, the Middle East, Central and Eastern Europe and India, apart from markets like Japan, Australia and Korea, Maestri said. An industry executive said Apple expanded distribution of Mac computers and iPads last year to neighbourhood multi-brand cellphone stores and smaller Apple exclusive stores coming up in neighbourhood locations, pushed online sales and started to promote them aggressively with cashback and EMI offers, which delivered higher sales. This is in line with Apple’s strategy to increase its installed base in India, irrespective of product segment, which will drive sales of other products, according to Tarun Pathak, associate director of Hong Kong-based Counterpoint Technology Market Research. “However, Apple will need to tackle the challenge of localising assembling as the recent increase in duty will make its products costliest ever in India,” said Pathak. The government proposed on February 1to increase customs duty on a range of products, including mobile phones. To strengthen local operations, Apple India has roped in Virat Bhatia as managing director for strategy and policy and Vikrant Bhatnagar as head of HR. A company spokesperson declined to comment on the two appointments. The LinkedIn profiles of Bhatia and Bhatnagar were updated with their respective roles in Apple India. Apple has been seeking concessions from the government to set up full-fledged manufacturing operations, run company-owned stores and sell certified refurbished handsets in the country. Bhatia joins the iPhone maker from AT&T South Asia, where he was regional president (international external affairs). He will be responsible for liaison with the Indian government and report to Apple headquarters in Cupertino. Bhatnagar was chief people officer at software firm Freshworks Inc. He had senior-level stints at Hike Messenger, Amazon and Aon Hewitt, according to his LinkedIn profile. The government in the Budget proposed to increase duty on imported smartphones to 20%. The duty was raised to 15% last December from 10% earlier. Apple increased iPhone prices by an average of 3.5% in December due to the higher duty.